Himalayan region in India is long been recognized as a popular place to unwind and rejuvenate. Variously dubbed as a place where god resides, Himalayas is considered one of the most spiritually and mentally uplifting places in the world. 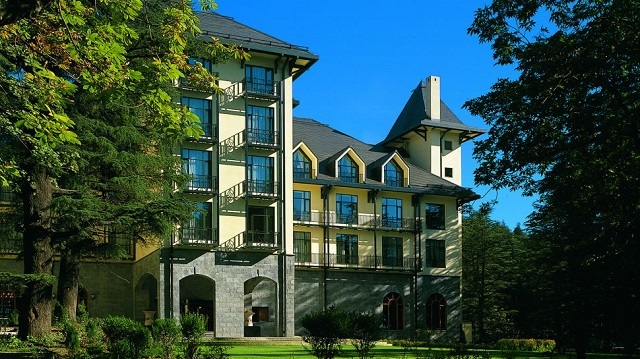 Our collection of luxury and boutique hotels in Himalayas will take you to road less travelled. 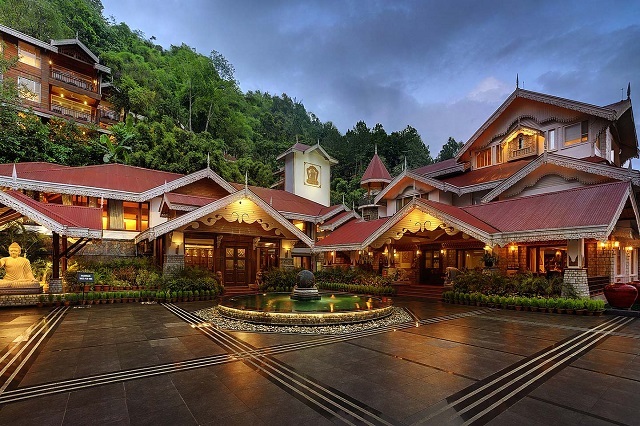 Characterized by great outdoors, tranquility, personalized service and a range of activities like venturing out to local villages, hikes and rejuvenation therapies makes these chic properties – some with cottages, villas and state of the art spa & Ayurveda centers – a perfect escape from the humdrums of daily life. 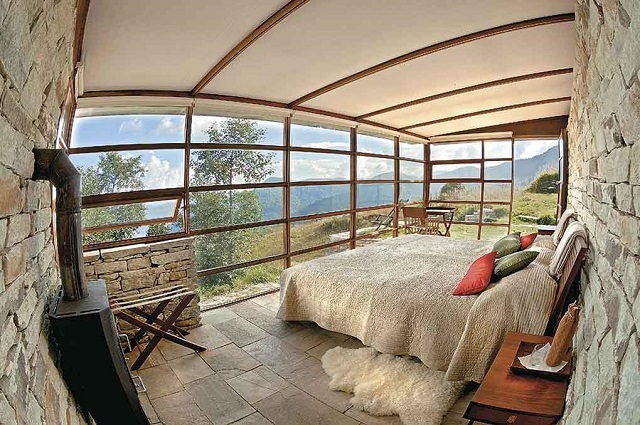 So here we list the 10 most luxurious and boutique hotels in Himalayas in no particular order. Wildflower hall offers opportunity to the guests to refresh with cycling, rafting, nature walk or yoga and rejuvenate them with an elite spa therapy. The restaurant offers colorful dinning space and a warm seating arrangement. The outdoor terrace offers splendid view of the Himalayas. In addition, wildflower hall offers an indoor pool adorned with crystal chandeliers. The temperature of the pool remains controlled throughout the year to provide a good swimming experience to the guests. Cost: Starting from Rs. 19,000 per night. 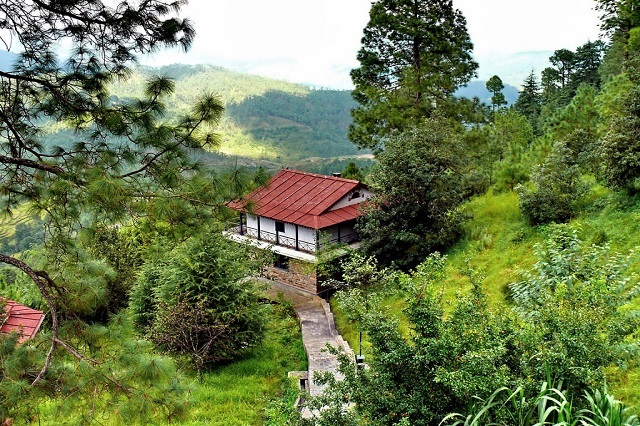 Kalmatia Sangam Resort in Almora is a place that allows you to escape from crowd and offers you much needed relaxation by providing gentle scenic walks and some exciting treks. 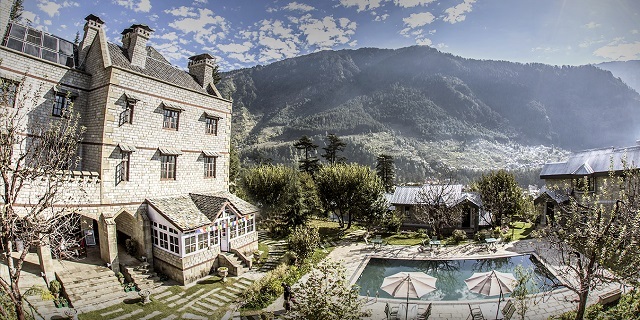 Apart from offering comfort and privacy, the tastefully decorated cottages of this resort allow guests to enjoy the magnificent mountain views of the Himalayas. Moksha is an ayurvedic health spa resort located in the Shivalik ranges of Himalayas in the picturesque Himachal Pradesh. Moksha resort contains 15 royal buildings with 62 suites and therefore offers a wide variety of stay options to the guests to choose from. Apart from comfortable stay, the rejuvenating and relaxing spa offered by this resort provides perfect peace and sense of well being to its esteemed guests. 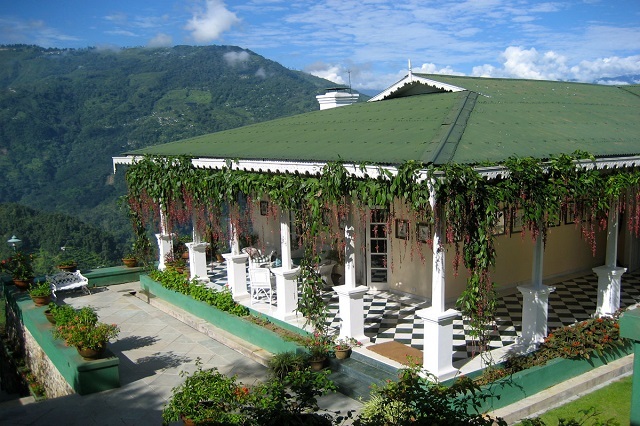 Glenburn Tea Estate, Darjeeling contains two bungalows each consisting four suites, verandahs, gardens, common area and terraces accessible to all the guests. Each bungalow offers cozy living room and grand dining room to enjoy candle light dinners. All the spacious bedrooms are tastefully decorated by using different themes to offer a unique experience to the guests. Mayfair Spa Resort & Casino, Gangtok offers luxurious rooms, bar facilities, multi-cuisine restaurant, swimming pool, spa, casino and health club to enjoy your holidays in Gangtok. Apart from comfortable and luxurious stay, this resort offers well-appointed spa to rejuvenate your body and mind in heavenly atmosphere. Truly built in the architectural heritage of Kashmir, Khyber Himalayan Resort & Spa offers extraordinary experience to the guests. A cigar lounge, heated swimming pool, beautifully decorated restaurant and a comfortable spa are some of the luxuries offered by this resort. Its mini theatre and kids’ club make it one of the best resorts in India. Living at Ananda is a fine blend of style, elegance and serenity. 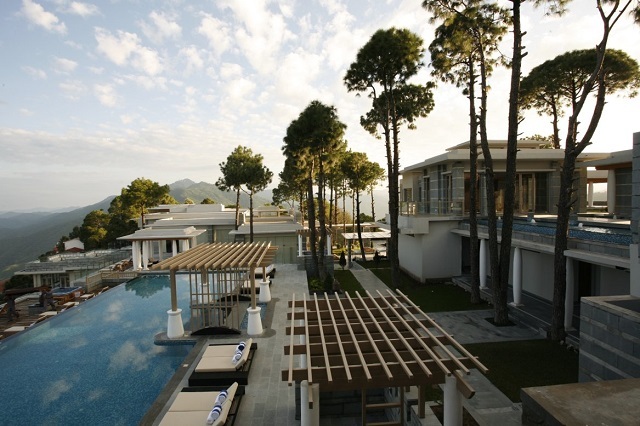 The suites and villas at Ananda offer splendid views that leave you astonished. All the rooms are spacious and offer excellent view of the Rishikesh valley. In addition, each room equipped with luxury amenities and facilities contains large balcony with picture perfect view. 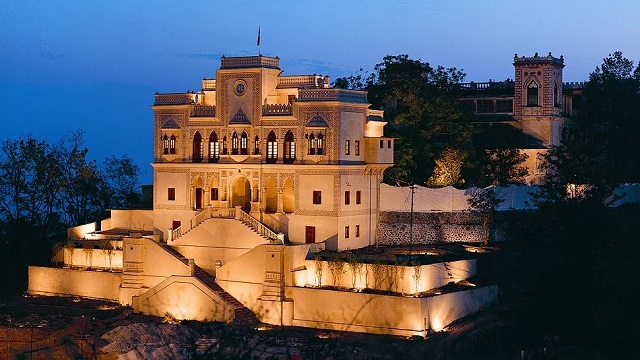 Unique in concept, Aalia is a luxury hotel located on the banks of the majestic Ganges in Haridwar. 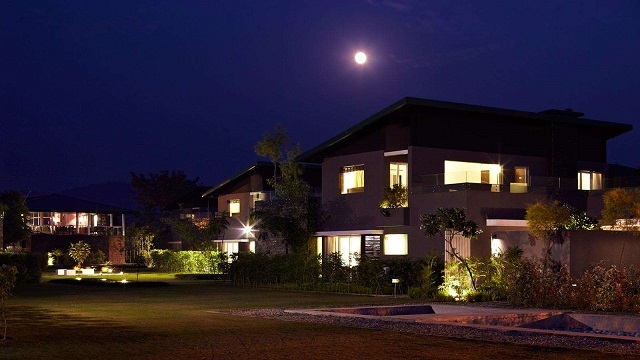 Surrounded by natural beauty from all sides, this beautifully designed resort allows you to relish the tranquil surroundings and fresh air coming from river Ganges. By offering world class facilities and exceptional services, Aalia bids an unmatched hospitality of its guests. By offering exotic food, nice ambience and lots of indoor and outdoor activities, Aalia makes your stay an unforgettable experience. 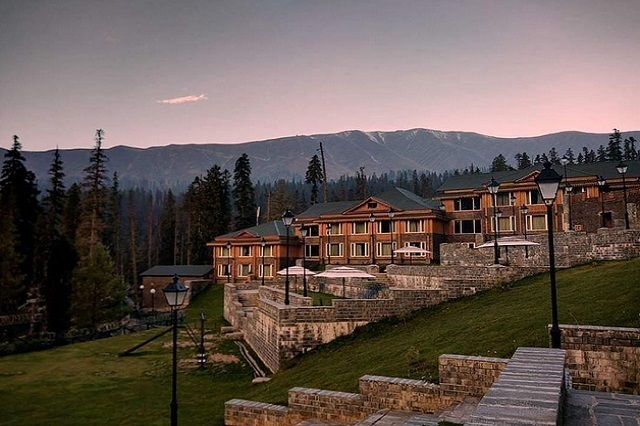 The Himalayan Spa Resort is a premier luxury resort in Manali. Its cottages are set in the midst of cherry and apple orchards overlooking snow capped mountain peaks. Hence this resort is an ideal escape into tranquility without missing comfort and luxury. Shakti 360° Leti located in the Kumaon region of Uttarakhand is a place which offers beautiful stunning mountain scenery to the tourists to relish. An innovative combination of contemporary design and traditional building techniques, Shakti 360° Leti allows its guests to view snow capped peaks of great Himalaya ranges. It offers a cozy fireplace and beds decorated with fluffy duvets and pashmina blankets. Outdoors offer treks, mountain walks and camping experience. Here, you can relax in planter’s chair and can enjoy the sunshine and magnificent view of the Himalayas. Meditation and yoga sessions can also be arranged on request. I am Shahil Shah, a passionate traveller and loves to write about various places and tips from around the world through my website HolidayBirds. You can also contact me via G+. After doing a long research of cheapest hotels and rates comparison finally I found the site and this gives me the best results- I have booked hotel and room for the business tour. I would recommend him to anyone easily…. Thanks for your hotel suggestions, really helpful. I also visited Darjeeling last year and wanted to stay in hotel which offers the beautiful view of the Himalayan mountain range.I stayed in Sinclairs Hotel. Beautiful hotel and very co-operative staff. People who want to enjoy the splendid view of Mount Kanchenjunga while their stay in Darjeeling, they must go for Sinclairs Hotel. I will definitely try above listed hotels.Thanks again.Keep Posting.